Say 'Happy Mother's Day' in style with this bespoke half pint tankard. 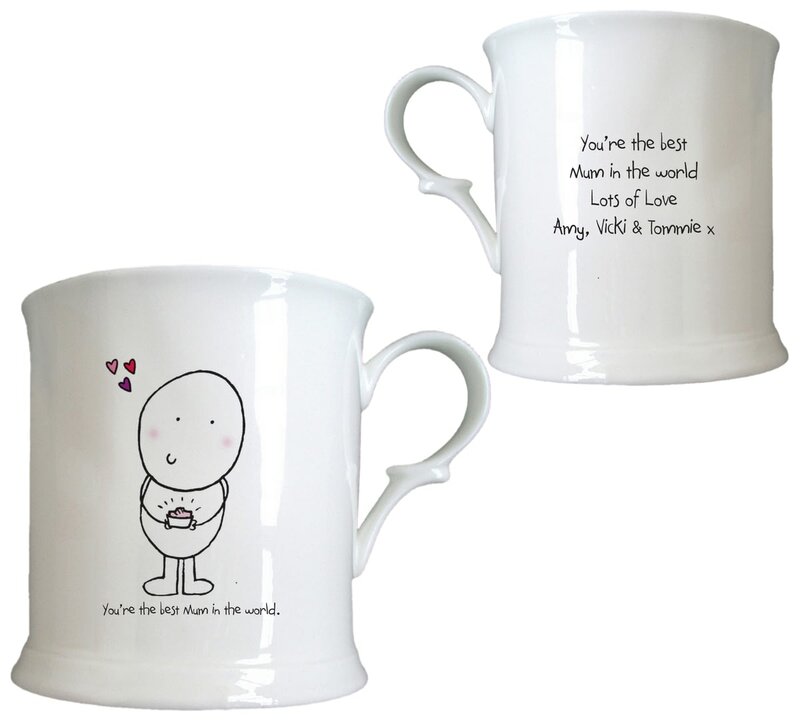 Our Chilli and Bubbles cartoon character is ready on the front of this mug, letting Mum know how great she is, and we add an extra touch to the gift by personalising your own Mother's day message on the reverse. Mother's day may only fall one Sunday a year, but with this thoughtful gift Mum will feel cherished all year round as she relaxes to enjoy a cuppa.